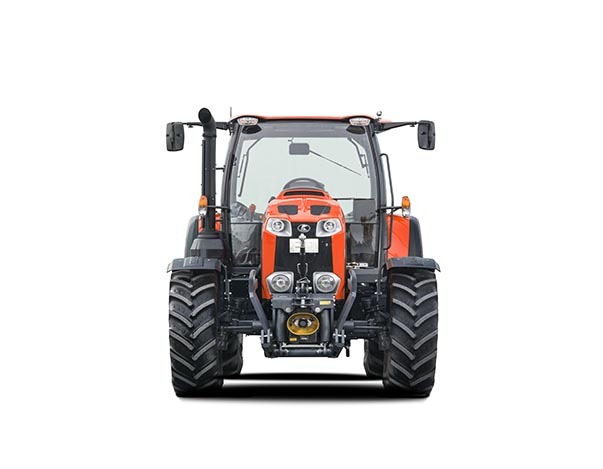 The Modell M135 GX may be large and powerful, but it has all the manoeuvrability of a compact tractor thanks to Kubota's Bi-speed steering system. Under its one-piece bonnet, it has a 143 hp, 6124 cc, four cylinder engine giving users all the torque they need for even the most arduous of tasks. There is also a 24v/24r eight speed powershift transmission for easy use with a single lever. Up and down shifts are also controlled at the touch of a button. The M135’s cab is extremely spacious with room for two people and has good 360 degree visibility. Air conditioning is included as standard, as is a deluxe air-suspension seat. Lifting capacity is 6100 kg. Would you like to learn more about the M135 GX ?